Collection calls can be very intimating and scary. If you’ve fallen behind, missed, or forgotten to pay your bills, you may receive these kinds of phone calls. In many cases, collectors resort to harassment and misrepresentation in order to collect on the debt owing. If you are being harassed by a collection agency, there are several ways to stop the calls. Don’t ignore the calls. Answer the phone and find out exactly what debt they are collecting on, ask for the balance owing and see if you can offer a suitable arrangement to repay them back. Ignoring the calls won’t stop them from calling. The creditors have a legal right to collect the debt and can call a few times a day (depending on the province you live) if there is no answer. Not making an arrangement to pay the Collection Agency will also show the debt still outstanding on your Credit Bureau which will continue to bring down your Credit Score. If there are no arrangements made at all, it can possibly eventually lead to garnishment of wages or liens on any assets you have so do not ignore these calls and remain in communication with the Collection Agency. Ask to be communicated in writing only. If you are working on the funds to offer the Collection Agency or the Agency becomes too harassing, you can request for the Collection Agency to send you communication by mail only. This is known as a Cease and Desist Letter which is basically advising the Agency you only wish to be communicated in writing going further. Make sure to keep a copy of the letter and make sure to send it registered so you have proof that they received this request from you. There are many sample Cease and Desist Letters online. After this type of request, it is also important to make sure you open any letters from your Collection Agency to confirm if there are any legal documents from them. If Collection agencies still call after you have requested them to cease in writing, you can contact a Lawyer and they can direct you onto the next step and help you directly with them. Most cell phone companies will also allow you to block unknown calls if you go to your settings to change that to block all unwanted calls. Most cell phones have a Do not disturb setting on your phone and you can click the contacts you allow the calls to come from if you only want callers in your contact list to contact you. 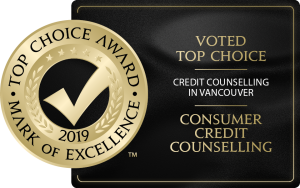 It is always suggested to speak with a Credit Counsellor directly to go through your options in detail especially if you are at the point where you are not able to make an arrangement to repay your debt on your own and if the collection agencies are constantly calling you. Once approved on a Debt Management Plan through Credit Counselling, the calls will cease from your Creditors immediately too. Are You Stressed Out About Finances? Are you stressed out by creditors constantly calling? Do you feel like you are drowning in debt? Contact us and we will work our hardest to put you on a path towards becoming debt free! See what some of our past clients have to say and how grateful they are, some thought they would never be out of debt – and now they are! Become our next success story Call Today! *While testimonials are from our clients, we respect their privacy. Some of the pictures depicted may not be the actual client giving the recommendation.